CBS issued a corporate declaration of war against its controlling shareholder Shari Redstone on Monday morning. Redstone has been pushing CBS Corporation and its sister media company, Viacom, to merge. But CBS CEO Leslie Moonves and the CBS board of directors have reservations about the proposal. On Monday CBS took drastic action -- by suing Redstone and her family's holding company National Amusements (NAI for short). In a statement Monday afternoon, NAI called it "outrageous" and said "we intend to defend our position vigorously and look forward to presenting our arguments in court." A hearing is expected later this week. CBS says it intends to hold a special shareholder meeting on Thursday and use a dividend declaration to sharply dilute Redstone's control of the company from 79% to 17%. CBS says this is permitted by a provision in its charter. Monday's suit is designed to prevent Redstone "from interfering," according to a CBS statement. Specifically, it seeks a temporary restraining order. The suit says CBS is taking action to prevent Redstone "from abusing NAI's voting control and further harming CBS and its public stockholders in breach of their fidicuary duties." National Amusements, in response, said it strongly refutes CBS's "characterization of recent events." Here's what the two sides agree on: Earlier this year Redstone pressed CBS and Viacom to form special committees of their respective boards of directors to explore a reunion. The two companies were split up more than a decade ago by Shari's father Sumner Redstone. The two committees have been working on the possible merger since February. The main hang-up has been over the management structure of the combined company. Moonves wants to pick his own team to lead CBS-Viacom. But Redstone wants Viacom CEO Bob Bakish to be a part of it, setting up Bakish as a future CEO. With Monday's lawsuit, the dispute is heading to court. It is a sign of stiff resistance to the merger idea. In a remarkable twist, it's the special committee of board members -- the committee Redstone wanted -- that is suing. "The Special Committee members, all independent directors of the Company, unanimously believe that the CBS Board has a fiduciary duty to act now to protect all stockholders and prevent Ms. Redstone from further breaches of her fiduciary duties," the CBS suit states. The CBS lawsuit also alleges that Redstone has "improperly interjected herself into negotiations" about the merger and has "acted to undermine CBS's highly lauded and successful management team in a series of escalating attacks." 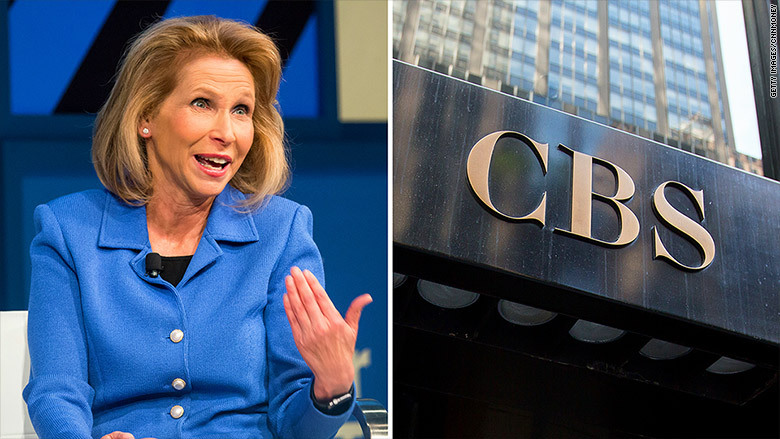 The suit also claims that "Redstone unilaterally, and without Board approval, informed a potential acquirer of CBS to not make an offer for the Company, depriving the board of the opportunity to consider a potentially value-enhancing transaction." The suit does not I.D. the "potential acquirer." CBS said in its statement that diluting Redstone's control would "enable the company to operate as an independent, non-controlled company and more fully evaluate strategic alternatives." In its response a few hours later, Redstone's camp expressed skepticism that the CBS board members are really acting independently, using the word in quote marks: "This precipitous lawsuit, and the efforts of CBS management and its 'independent' directors to wrest voting control from NAI, are outrageous," NAI said. The insinuation is that Moonves is really behind the move. NAI also said it believes CBS's action "was precipitated following NAI raising specific concerns about incidents of bullying and intimidation in relation to one CBS director, dating back to 2016. NAI has made every effort to deal with this matter privately and confidentially. Unfortunately, CBS's action today continues to enable and empower such conduct." The lawsuit came at the beginning of a big week for CBS. The network will hold its annual "upfront" presentation for advertisers on Wednesday afternoon. Moonves typically speaks on stage and promotes the strength of the network at the Carnegie Hall event.